What a difference 90 days makes. The recent announcement by Weis Markets, based in Sunbury, PA with 162 stores throughout MD, PA, NJ, and WV, to acquire 38 Food Lion locations and an additional five existing Mars stores; the closure of all other Mars locations totaling eight units; the ongoing efforts by Lidl Corporation to enter he Mid-Atlantic market; the continued expansion of Harris Teeter’s pipeline for new store development; and, the acquisition of Food Lion by Ahold (Giant Foods); the battle for market share and brand dominance in the local market is underway. These events are significant to the changing landscape of the community grocer market. It is likely that the stars aligned perfectly for Weis Markets. 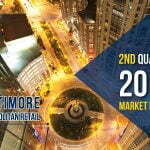 The maturity of the local Baltimore DMA, lack of new potential sites for development, and the growing development costs for commercial properties, it became virtually impossible to make a new store, ground up construction, affordable and profitable. The complexity of the population and the lack luster demographic growth are factors that make the need for brand growth and store expansion almost a stalled discussion upon arrival. Then, Food Lion becomes a target for Giant Foods, and then the opportunity becomes a reality for Weis Markets. Most importantly, Weis’ cost of entry into new markets is likely to be substantially less than other competing grocery store chains; they are buying the Food Lion leases, fixtures, equipment, etc. for a fraction of what it would cost to build new. That will create a wave throughout the local industry. Other grocery providers will need to sharpen their pencils on marketing campaigns, sales promotions, and service performance. Who benefits the most? The consumer. Once the conversions begin, we expect the price wars to begin, and the battle for customers to commence. More favorable to the real estate market, the growth of Weis Markets and entry into new markets will certainly be positive. The immediate absorption of these anchor spaces has certainly provided developers and property owners with a sigh of relief. The last thing the local market needed was a dramatic increase in the amount of vacancy of numerous anchor-box locations. During the 2nd Quarter of 2016, we continued to see the proliferation of quick serve restaurants (QSR’s), fast food, and full-service restaurants. The dynamics and diversity of the new offerings is exciting. We expect another strong year in the leasing market for new retail centers, or retail opportunities for food uses, with projected deal activity to reach 70% of all retail leasing in 2016. Deal structures are becoming expensive and expansive with developers now seeing the need to increase their scope of work to include many of the critical infrastructure items for a food user – increased HVAC capacity, electric service, installation of grease traps for tenant use, and heightened design elements on exterior facades. What was once the norm, and rather minimal work scope, has become outdated and antiquated. Tenant improvement allowances are on the increase as well. Developers are having to fund more dollars per square foot and provide offsets if needed. Most important to the local real estate market, in a positive light, is the fact that the majority of the prospects are local and regional concepts, with proven success, and a track record of strong, local support. Consumers, and the larger world of “Foodies,” are embracing this growth. The consumer market is showing a stronger tendency towards local concepts and providing brand loyalty. We expect Baltimore to continue its path towards becoming a well-recognized community market of great neighborhood food venues and concepts, that are unique, diverse, eclectic, and affordable. To view MacKenzie’s complete 2nd Quarter Retail Report, click here.